With ongoing discussions about social media’s role in the spread of fake news and hate speech, user awareness about the responsibility of tech giants to manage these problems also rise. 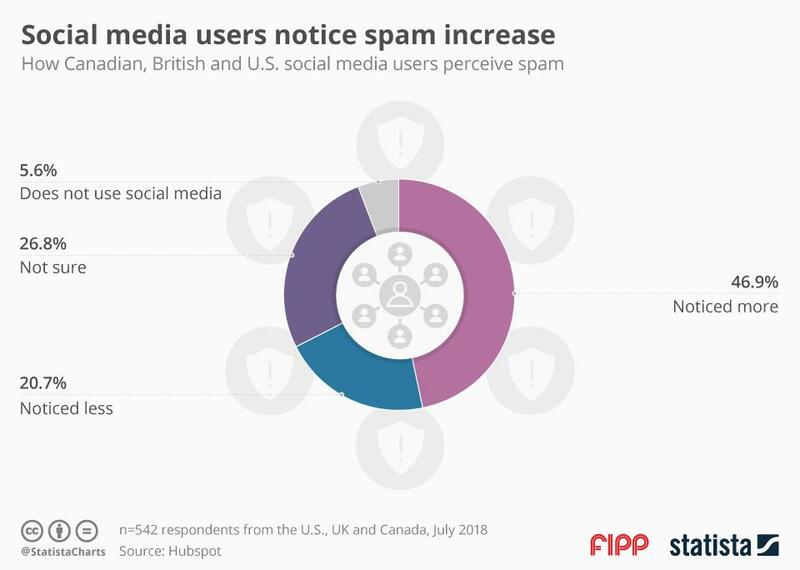 Even though Facebook and Twitter recently introduced steps to keep their platforms clean, 47 per cent of respondents of a survey conducted by Hubspot perceived their social media feeds to be more spam-loaded in recent months. This might be due to Facebook’s definition of spam which reads a bit vaguely and does not include for instance fake news. However, 79 per cent of all internet users polled agree that fake news counts as spam.